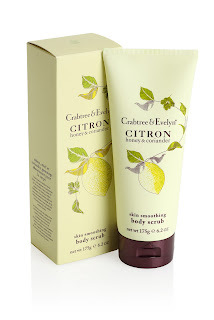 Crabtree & Evelyn have added to their bodycare with a range of five Citron products. I was sent the Body Scrub and Skin Indulging Body Souffle to trial. It's time to put aside any preconceptions you may have of Crabtree & Evelyn. This range feels very current. 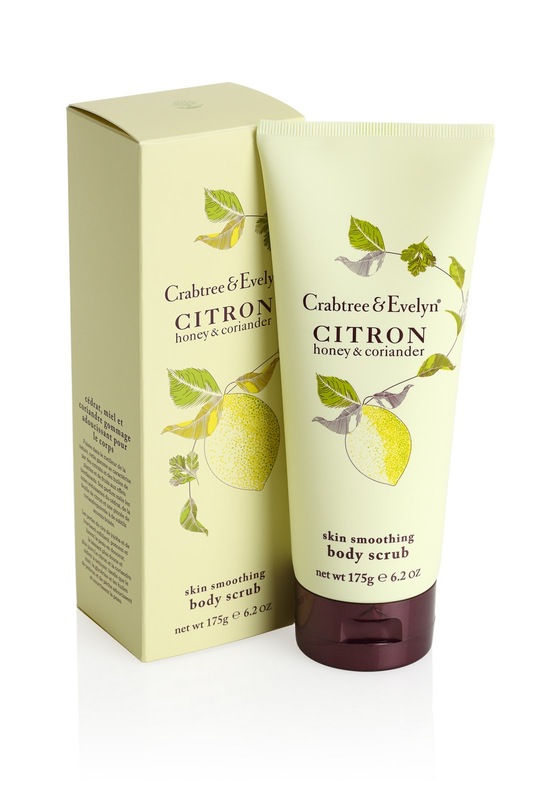 The products look great with well considered packaging- a functional tube for the scrub and a tub for the souffle, both featuring a lemon illustration and presented in boxes. I absolutely adore the scent- it's inspired by the Mediterranean and truly feels like a little reminder of summer which lingers delicately on the skin. The combination of Citron with coriander and honey definitely gives it a grown-up edge, adding something extra to the standard fruity offering. The scrub is a lightweight creamy texture which can be applied directly to dry skin and feels incredibly nourishing. I found that I used quite a bit but this could simply be because I found it such a pleasure to use! The exfoliant aspect of the scrub is sunflower seed wax granules which are gently abrasive and similar to a salt exfoliant in terms of size and texture. The scent of the scrub is definitely more lemon-y than the souffle. It feels wonderfully freshening so ideal for use post-gym or in the mornings. I like the idea of a souffle but it suggests that the cream would have a whipped texture- it doesn't. 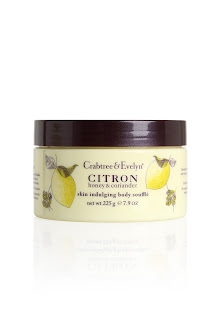 It's a rich body cream which absorbs easily although I found it left a greasy residue on my skin in the areas such as my legs where I'd applied a generous layer- you really don't need to use very much to leave skin feeling soft and conditioned. The Body Scrub retails at £15 for and the Skin Indulging Body Souffle at £18 so definitely at the pricier end of high street brands. I think they can just about get away with this- the products do feel luxurious and have the added benefit of being free from nasties such as parabens, mineral oils, sulphates, etc.., something I'm always prepared to pay that little bit extra for. This would make a wonderful gift or treat for yourself. I'm highly impressed.